PCIe/104 Delta-Sigma dataModule - RTD Embedded Technologies, Inc. 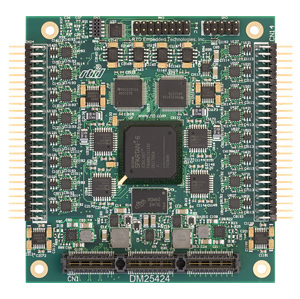 The DM35224 and DM35424 are software configurable simultaneous sampling data acquisition modules. The DM35224 provides 8 differential analog input channels, with programmable gains. It also provides 8 individually controlled analog outputs and digital I/O. The DM35424 doubles the number of analog I/O to 16. 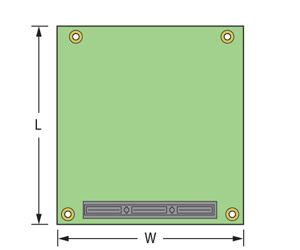 This board is targeted to sensors that require high precision with a low signal level, such as accelerometers, pressure transducers, and Resistance Temperature Detectors (RTD). The DAC output can provide sufficient current and voltage for the excitation voltage of most sensors.